Looking for something a little different for that stag, hen, work or large family event? Then out 2 hour session is perfect. 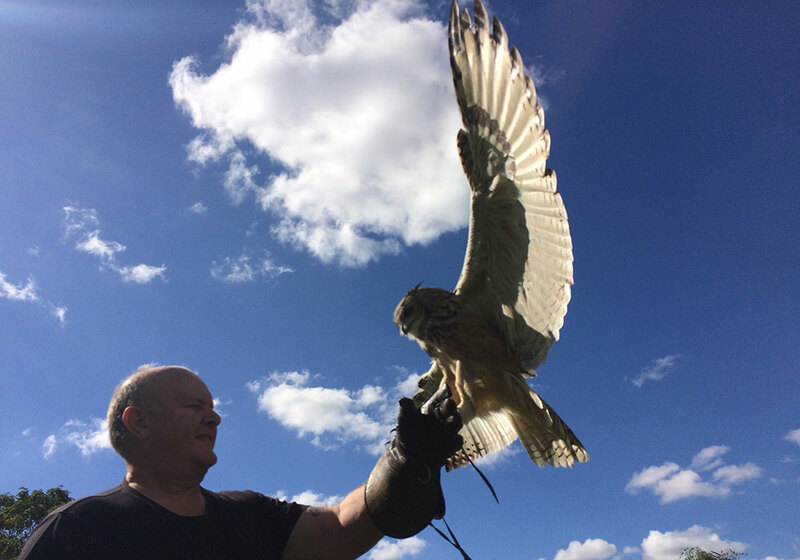 Then spend 2 hours in the company of our wonderful Birds of Prey, flying a range of Hawk and Owls to the fist, learning about each species, their natural environment and as individual characters. 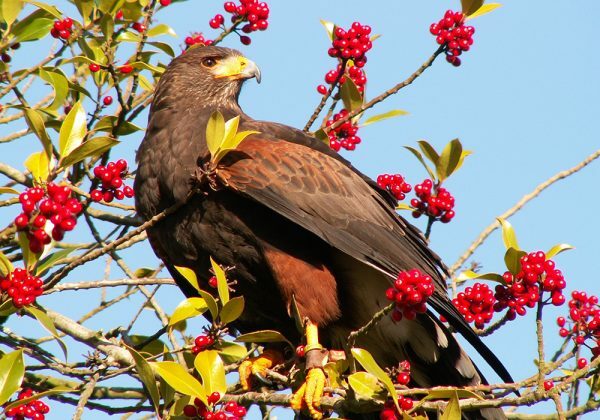 This 2 Hour Falconry Experience is based on 12 people however additional members can be added for a charge of £10 per person up to a maximum of 20 people. 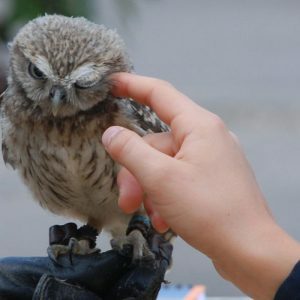 This session is suitable for a wide range of ages but we do allow handling the birds for anyone under the age of 6 years. 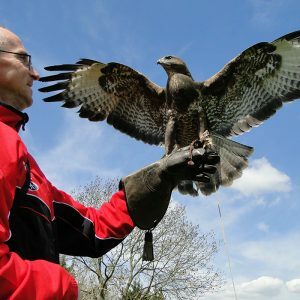 The 2 Hour Falconry Experiences take place 6 days a week, however, these sessions are extremely popular and Feathers and Fur recommends booking several months in advance if you would like a weekend or a school holiday slot. 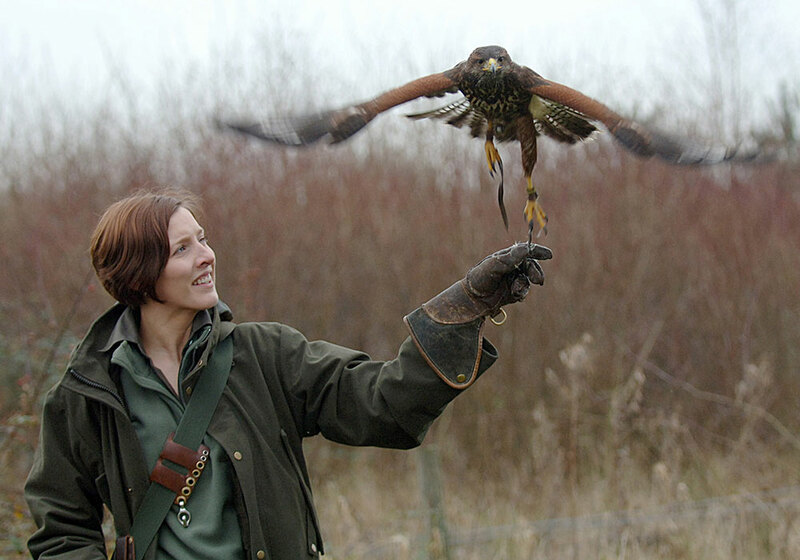 2 Hour Falconry Experiences are available as a voucher if you would like to give it as a gift and have a validity of a year. Please email or call our booking team for more information or to arrange a gift voucher or book your 2 Hour Falconry Experience time. Looking for something for just the grown-ups? 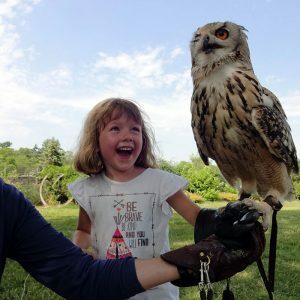 Try our Half Day Hands on Experience or our Owl Experience. I must say that your talk was amazing. You are so full of enthusiasm and that came across very well to everyone. 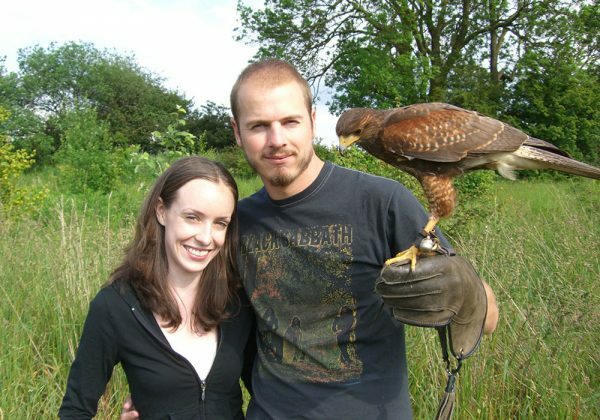 The talk was informative but funny too and you obviously have a very special relationship with your birds. I admire your dedication but that only comes from enjoying your work so much, something I know so well. I just wanted to say thank you for Saturday. The whole party had a fantastic time. I also wanted to say we would highly recommend the experience to anyone. Also we thought you were a brilliant host and made the day even more special. I just wanted to write and thank you for the wonderful morning our U3A group spent with you today. The group were thrilled to be so hands on with the birds, and you have so much enthusiasm and knowledge about the birds which made the experience all the more interesting. Good luck with your venture for the future, and hope to see you again. Fantastic. Sadie was brilliant and made us welcome and relaxed. Told some of our friends about our day, now they want to go. We will definitely return. Recommend this venue.